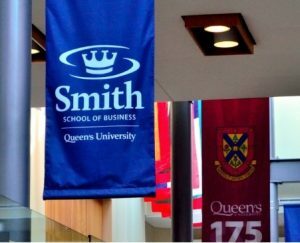 Delvinia CEO Adam Froman will be among the speakers at the Smith Scale-Up Summit being hosted by the Smith School of Business at Queen’s University next week. The Smith Scale-Up Summit is Canada’s only student-led conference connecting prominent entrepreneurs and scale-up leaders with students from a premier business school. The event will include a mix of keynote speeches, fireside chats, workshops and a number of speaker panels with business leaders, innovators and academics. Adam’s fireside chat, being moderated by Queen’s MBA student Clark Roberston, will touch on a variety of topics related to innovation and data, including the value of data, the democratization of data, and the role of AI and automation in data today. Adam will also share the story of Delvinia’s evolution and growth as a Canadian tech scale-up. The Summit, now in its 10th year, was formerly known as the Queen’s School of Business Innovation Summit and previously focused on entrepreneurship and innovation within Canadian startups. This year, the event is shifting focus from nurturing new ventures to enabling Canadian businesses to scale-up. The Summit takes place on October 27 and 28. For more information, visit the Summit’s website.